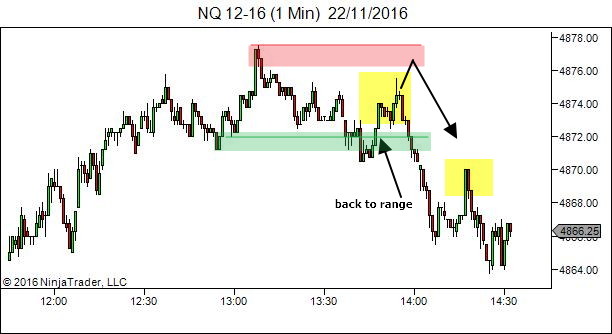 Here is another way to track and review trades… with a classification system that makes it a little bit of fun! 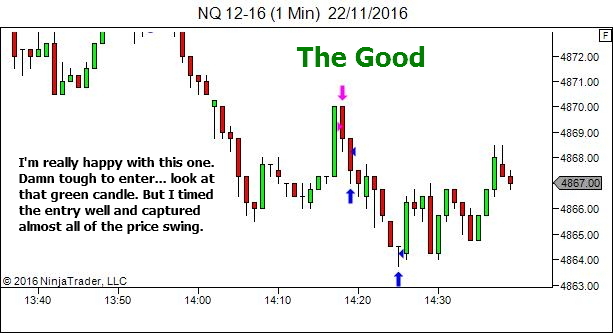 The Good – Trade ideas which DID have edge and were well managed. 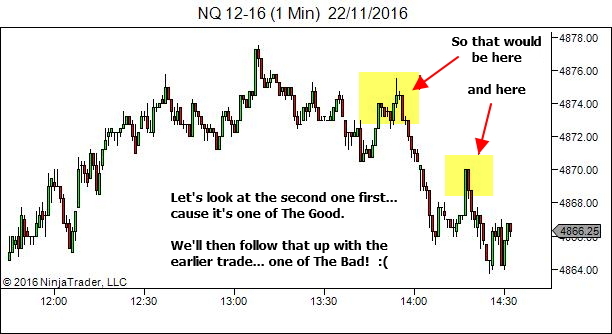 The Bad – Trade ideas which DID have edge but were either poorly entered or poorly managed. 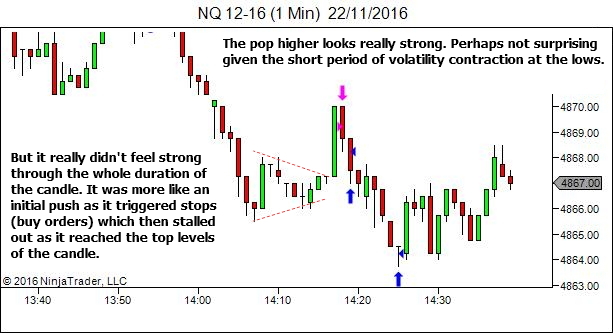 The Ugly – Trade ideas which DID NOT have edge. 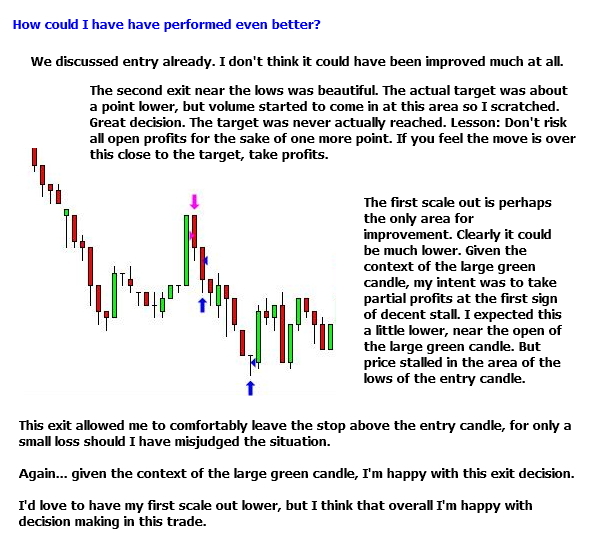 "Trade ideas which DID have edge" – I need to do some more work on teaching this in the future. 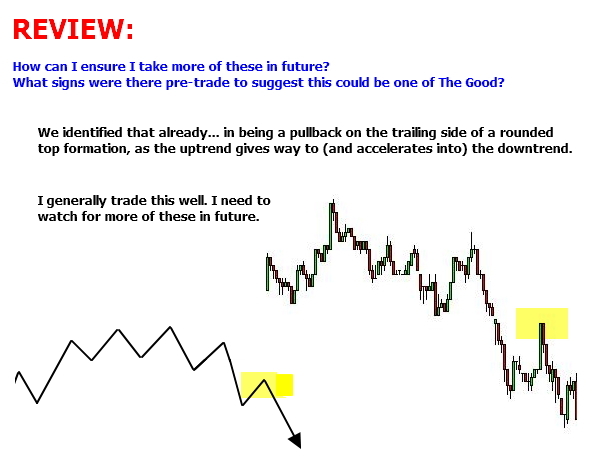 For now, consider them to be trades in which your hindsight review says, "Yes, taking this trade was the right decision". This does not necessarily mean it profited. You might have taken a loss. But without any doubt, it meets all your trading plan criteria and it's one you were right to have taken. "Trade ideas which DID NOT have edge" – Those trades which are clearly not a part of your trading plan. You had no right to be in that trade. This doesn't mean it lost. It may well have profited, but was still a poor trade (for example… a revenge trade that works!). Feel free to vary the definitions in any way that makes more sense to you. But keep them in three classifications – The Good, The Bad and The Ugly! The Good – We want more of these. Always be aiming to increase the percentage of The Good within any sample of trades. And to increase the profit they provide. The Bad – We want less of these. Always be aiming to decrease the percentage of The Bad within any sample of trades. And to reduce the damage they do to P&L. The Ugly – Ideally, we aim for NONE of these. That might be tough. But it's the goal. It's a continual striving for improvement in skill and expertise. How can I ensure I take more of these in future? What signs were there pre-trade to suggest this could be one of The Good? Consider both the market structure and the way that price was moving. How could I have have performed even better? Was there any way to have increased size (assuming you scale in and out)? Was there any time or place at which I could have added to the position? Was there reason to extend the targets even further? Were there any non-technical factors present which may have assisted with my decision making? How was my physical state? How was my mental state? How was my emotional state? How was my trading environment? In what way did I underperform with this trade? How can I ensure I do less of this in future? 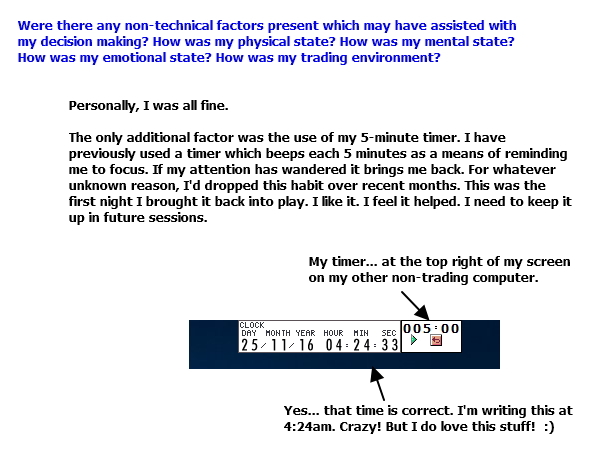 Were there any non-technical factors present which impacted upon my decision making? How was my physical state? How was my mental state? How was my emotional state? How was my trading environment? How can I ensure I avoid these trades in future? What signs were there pre-trade to suggest this WAS NOT A VALID TRADE? Consider both the market structure and the way that price was moving. Why was I not aware of this at the time? So… given that it's now closer to 4:30am… how about we come back next week with part two. We'll look at the earlier trade from this same sequence (The Bad). And I'll see if I can find you one of The Ugly ones as well. Looking at the chart, the 1st setup is easier for me…I dint understand , how you are comfortable to take up the 2nd setup ..
And that’s the difference between a probabilistic mindset and one seeking certainty. I’m seeking trades with edge. That second trade had edge. It doesn’t have to be comfortable. 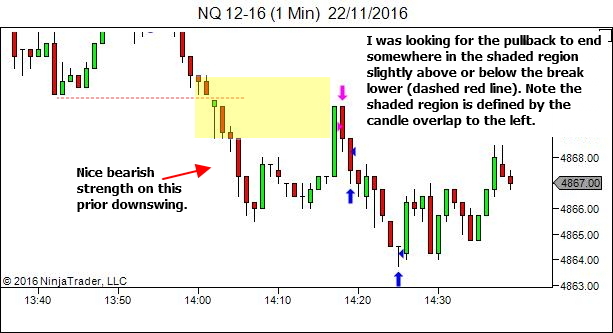 But that trade location and the way price behaved when it got there, offers edge. And if it lost, that’s fine. It’s still a trade I should have taken. As I said, I need to do more writing on this topic. Good trades are not necessarily comfortable. Awesome. Anything related to reviews excite me like hell. Thanks for this post and wow… Working at 4:00 AM?? I don’t know how world looks like at that time in my 27 years of life. LOL..
Ha ha. Yes. Unfortunately with my timezone, and the markets I choose to trade, it’s become normal practice to live and work at strange hours. Great article as always! Thank you! 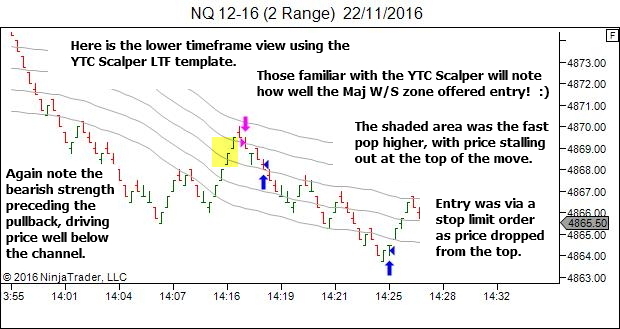 http://yourtradingcoach.com/trading-process-and-strategy/how-to-enter-when-the-pullback-shows-strength/ But this time the stall was the weakness. 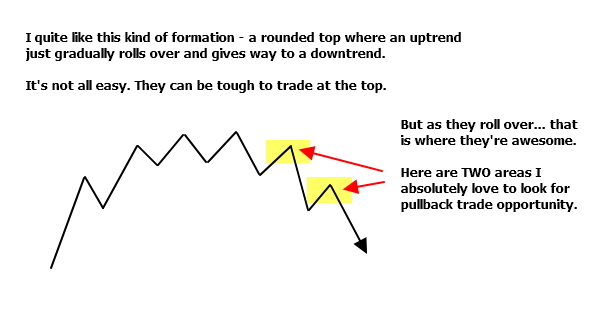 Yes, there are similarities in these trade setups. Both feature a stronger than ideal pullback. And both wait for some sign of weakness. In the earlier article that weakness is more obvious (in looking at the chart). In this latest example, it’s not really visible at all, but rather contained within the latter stages of the candle itself. I guess that makes it hard for some people to understand the entry. But the fact remains the principle behind entry was the same. And I’m really glad you could see that. The key difference though is context. The trades in this article had the “prior structure” to lean against. The original article… not so much. Good context like this provides much greater confidence. Yes, your thoughts are quite valid. And price may well have moved to retest the highs. We deal with probabilities. It was largely an experience call, in many respects, sensing the fact that the trend was rolling over and (potentially) likely to continue lower. Don’t be afraid to “pre-empt” a change in structure if you sense it happening. It’s hard to explain I guess. But you’re right that the structure had not officially changed. And I could well have been wrong. In such a case I’d just take the loss and adjust my analysis. Noting of course that I was right about the trend rolling over, but still took a loss anyway. LOL. That’s why I love this game.